As we all know, the more friendly the textbook is, greater the pace of learning. It is not easy for the first time learners to cope up with everything that is expressed in the levels of masters in that field. It must be as appealing as possible to have the things fed. But think carefully. There are certain limitations to the textbook because of its existence in two dimensions. The three dimensions explanations in the online education system with the Multimedia educational software create more vision with the learner, making it easy to understand. So the only means that can provide three-dimensional learning is the advanced smart classroom in India. Students also do have the option of choosing the courses from home. These are fed in, with regular intervals. Such type of system is very much evident in the central board of secondary education. It has been decided to implement in other boards sooner. This helps to inculcate as many variations as possible in lesser time. The reputed colleges also do practice online education system instead of regular classroom discussions. 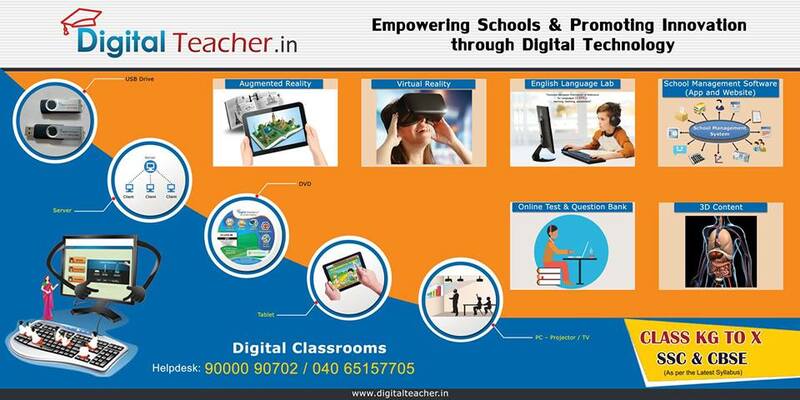 The digital learning also helps in taking the cognitive skills to another level. It is believed that cognitive skills are hereditary, but with proper training and exposure to Multimedia educational software, it can be improved. It is not just with the ease in flow, but also the vast expander when it comes to depth of the content. Many of the educational programs promote smart classroom in India, to increase the growth in advanced education so that it increases the overall potential productivity. The digital learning is friendly to the extent that, can be chosen from anywhere, including courses from home. It also reduces the fragility due to the pressure of the classroom learning. This may the main reason the central board of secondary education chose it before anyone. They are not thriving till date, without the advancement.